This morning, after I checked a few posts and messages in an online cancer forum, hubby Gerry and I made a Costco run. Our conversation en route was pleasant enough, but I found myself feeling increasingly grouchy. Today was a crispy, brilliantly sunny day in Western Washington. Why was I leaning towards dark? When I started talking to Gerry about conversations on the cancer forum, I realized why. A friend in my ROS1 lung cancer trial who has been on Xalkori for a year longer than me and whose cancer is slower growing than mine, told me his last scan showed a possible progression. He was calm and composed about this. Both he and I had been told the effectiveness of Xalkori against our ROS1 cancers won’t last forever, that we’ll eventually develop resistance to the drug. We both were given contingency plans for treatment once progression showed up. This wasn’t an earth-shaking, end-of-life event. But yet, it was a noteworthy event for me. Those hypothetical discussions had just become real. I’ve had clean scans for ten months. I usually feel good (I’m used to overlooking both the temporary and permanent side effects of treatment). I’m exercising and gradually regaining some of the muscle mass I lost in cancer treatment. I’m writing again. I’m going out with friends. I’m even planning some vacation travel for next year. Most days, I don’t think of myself as a cancer patient. 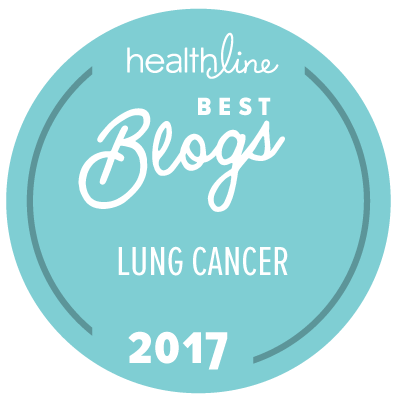 I can sometimes even blog about my cancer without the gut-wrenching realization “I have CANCER” sneaking into my awareness. Life is … NORMAL (for unusual definitions of “normal”). But normal will not last. Cancer survivor reality raised its ugly head. Someone among the thirty-some members of my ROS1 clinical trial — someone I know personally — probably has progressed. We ROS1ers are NOT invincible. Xalkori will NOT last forever. This time next year, I might be dealing once again with radiation, chemo, or a new trial drug. My grouchiness was similar to that caused by scanxiety: I had to face the reality that my cancer will likely come back. Once I identified the source of my fears, the momentary darkness passed, and life went on. We bought a nice bottle of Bailey’s Irish Cream at Costco. This entry was posted in Clinical Trial, Death and Dying, Lung Cancer and tagged Crizotinib, progression, recurrence, ROS1, Xalkori. Bookmark the permalink. The reality of living with this disease. So sorry to hear about your friend’s situation. Well done for not accepting the dark side, for thinking through the feelings, and for getting back on an even keel. Hope you enjoy the Baileys! Love your writing Janet. So open and honest. Bailey’s Irish cream ! Made me lol. Thanks for all your help with my issues. I always feel listened to, cared about and given new useful information.